Top Ten Misconceptions Of Food Trucks! (#foodtruck) – Food Truck Talk – Searching for the best foodtrucks! 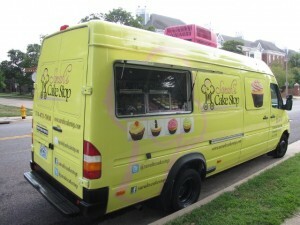 We contacted Jeff Pupillo of the St. Louis Food Truck Association and mobile cupcakery “Sarah’s Cake Stop” (http://www.sarahscafestl.com) and asked if we could reprint the misconceptions. Here is the original article! We’d love to know what you think about the “top ten”. Leave your comments below! Look out! Food trucks are on the St. Louis food scene. There’s been plenty of chatter about the new concept, and while mostly positive, there are some misconceptions about the food truck business that we would like to address. So here you have it – the top ten misconceptions about food trucks as we see it! 10. We have sub-standard quality food. Sometimes the best food comes out of the smallest kitchens, just ask your grandma. Most of the food trucks have trained chefs, food distributors and put out some of the finest food out of little kitchens. If we produced sub-standard food our customers will let us know or we will be out of business. So remember, no matter what anyone tells you, size doesn’t matter. 9. We are above the law and park anywhere we want. Unlike Sylvester Stallone, Arnold Schwarzenegger, and Chuck Norris, we are not the law and do not think we are above the law (who wants to mess with Chuck Norris?). Seriously, we work with the city to abide by all ordinances and laws and are ticketed if we do not. In fact the rules surrounding the food trucks are tough. For instance, we are required to stay 200 feet from any established restaurant. Not so easy downtown! 8. We don’t get inspected by the health department. Of course we do! Just because we move around doesn’t mean inspectors can’t find us! They have magnifying glasses, duh! But seriously, we all follow the same protocol and guidelines as brick and mortar restaurants and show our “A” grades with pride. Check them out! 7. We park where we are not wanted. Um, why would we do that? Our customers request our services at our many locations and if we thought the majority of the people at any location did not want us there we would find a new spot. We are mobile after all! 6. We have a competitive advantage. We certainly have a different business model but we don’t always have an advantage. You know how hard it is to find parking downtown, right?? And not to mention factors out of our control – if it rains, snows, is too hot or too cold, or aliens are attacking us, our business is negatively affected. And bottom line, if we don’t put out quality products people will stop showing up like any other business. And we like people – even as much as we like food. 5. We make lots of money in a short amount of time. Ha! We wish it were that easy. Most of our time is spent with prep work before we hit the streets. Once the windows close its back to our shops and commissaries to clean, prep for next day, do paper work, keep up with social media and emails and of course scheme on how we are going to bring down the brick and mortars…..I digress. Seriously our work day starts early and goes late into the night. 4. We don’t pay taxes. We promise, we are legitimate businesses registered with federal and state governments, with business licenses in many different local municipalities. Not only do we pay taxes, we keep track of every city we sell in and pay the appropriate sales tax. Some food trucks pay taxes to over 10 different municipalities monthly. We also pay federal and state employment taxes as well as the St. Louis City 1% special Tax. We pay personal property taxes on the truck along with many other taxes. There is nothing funny about taxes…so we will leave the comedy to the other 9 misconceptions. 3. Food trucks have almost zero overhead. HA HA HA! We all have to keep a roof over-our-head to keep those Tacos from getting wet. Not only do we have overhead but some of the upfront costs of a fully equipped food truck can be more than some restaurants. We all have additional fees related to commissaries, gas (yikes! ), back office costs (to track and pay those taxes we supposedly don’t pay! ), truck maintenance and more licenses than we can list. 2. We are pirates and only take and do not give back. Just because we take paaaaarrghking spaces does not mean we don’t give back to the community. Many of us support local businesses, using them as suppliers and even promoting those businesses around our stops. Almost all the food trucks work with charitable organizations around the community some even donating food at the end of the day to local food banks. 1. Really did we say 10??? Ok so we are not the most clever and probably won’t have an invitation to write for David Letterman but we do have great food and have lots of fun.